30 Cute Workout Outfits That Will Make You Run To The Gym! We know, gathering the motivation to grab your stuff and go to the gym for a quick workout session…but seeing these stunning workout sets will change your mind! Just like in ready to wear and haute couture collections, trends in active wear keep changing as well…so we gathered all our favorite cute workout outfits looks for this season! All monochrome workout outfits have been very popular recently, and after looking at this outfit, we can absolutely understand why. While the cropped hoodie is a comfortable yet stylish choice, the dark gray leggings with the lighter splashes match the hoodie perfectly. If you want to show off your abs (or the work in progress), don’t be afraid to rock a cropped sports top or bra. This outfit features a bold orange top with high waisted leggings. Because of the gray, black and orange, this would look really cool with simple white or peach colored sneakers! If the pastel pink top with a pop of vivid turquoise strappy bralette at the back wasn’t gorgeous enough, this workout outfit also features stunning, bright blue and pink leggings that share the same color palette with the top and the bra. This dusty rose bralette works together beautifully with the dark burgundy purple leggings, and because they both have very structured, simplistic designs, they look like a beautiful, complete set. We’re in the mood to go to the gym just by looking at this gym workout set! The mesh detailing at the bralette and on the bottom has a very sporty and edgy vibe, not to mention the tropical flower pattern in pastel peach and blue. Take your open back workout gear to the next level with this mesh panel back top! Instead of being completely see-through, the breathable mesh fabric covers your back just enough. If you choose a black or gray one, you can match it with almost any other leggings from simple ones to crazier, printed ones as well. Because of its elastic nylon and flastane materials and figure flattering design, you can easily track your work in progress in this outfit – and although there are no cut outs, it is a very simplistic yet beautiful workout outfit, which will also keep you comfy. They are two very different patterns, but they still seem to look great together! While the “puzzled” pattern has shades of green, pink, blue and gray in it, the striped pattern is kept simple with black and white stripes. While most workout leggings and outfits feature black, gray and white marble prints, this one has a unique mix of burgundy as well, and it looks especially beautiful with the extremely strappy, black sports bralette. The navy and white color block panel leggings with the wrapped around sweater and the dark gray sports top is a cute and comfy workout look, whether you are going to the gym or a run outside. If you want to make it more fun, add coral or neon blue sneakers to your look. Instead of going full neon, this workout gear is definitely a bit more simple with a monochrome T-shirt and ¾ leggings combination, but with the neon bralette and the shoes, it instantly becomes more fun. Not a fan of neon yellow and green? You can do this trick with any other vibrant color as well! Grey, green and black together create a super cute workout outfit, and just like with any other open back top, you can easily experiment with strappy bras and bralettes under this cross-back top as well. Besides being pretty, this top with the open back is also quite practical for a long workout session. If you thought snakeskin print was only good as mini dress patterns, take a look at this super cool workout gear with the blue and beige snakeskin leggings and the black workout top. Although we are in love with this color combo, we would also love to own a pair of these in beige as well! For the first glance, the vocal point of this workout outfit is the color block leggings with all the different shapes and colors, but the top is just as gorgeous and exciting with the mesh, sleeveless hooded design. Feel like a true superwoman in this workout outfit! The white and dark blue navy stripes over the top and leggings look stunning with the gold lining and the Navy bralette. 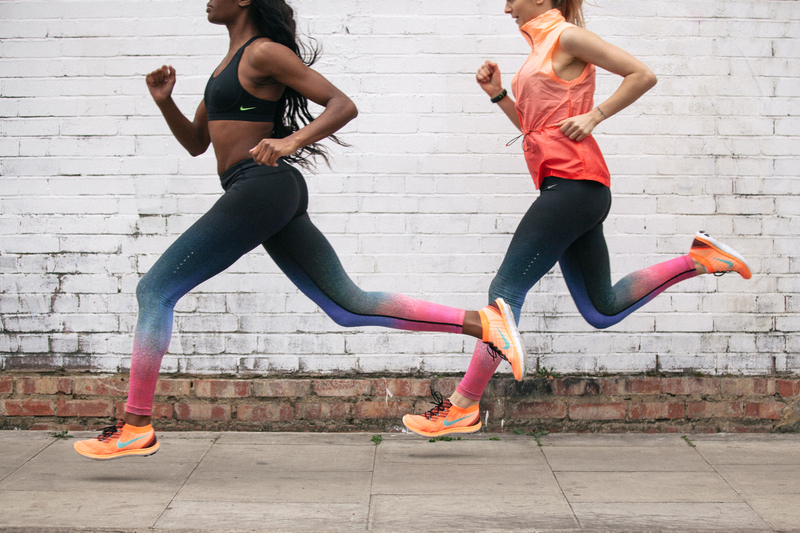 Although it was created for work out, we would totally rock this outfit casually on the streets as well. We need these light mauve leggings in our closet…right now. It’s not only made from a very breathable material, especially with the mesh on the legs, but it can be matched with every other shade and pattern. If you are fed up with stretchy leggings and you would like something really breathable and comfy, these pants will steal your heart. From the olive color to the slightly high waisted design and the slimmed ankles, there is nothing we would change in these pants! Another workout outfit with a hint of neon in it, but because of the contrast of the black and white, it looks even more vibrant and vivid. These safari print Nike capris are already quite unique, so the rest of the styling is kept simple with a black workout top. Two piece sets will never go out of style, and they are probably the most practical choices if you decide to go to the gym. Rock this gorgeous Adidas set with a casual white sports bra or T-shirt. While it’s a pretty typical black and white leggings, it looks absolutely amazing with the criss-cross black and white top and a black, mesh detailed cardigan. Add a few colorful details (a hair tie or sneakers) to make your workout outfit a bit more fun! Okay, let’s be honest: we would totally wear these gorgeous purple and pink ombré leggings to the streets on a casual every day! The color combination, the metallic ombré and the dotted detailing all make these leggings just perfect. Besides white and gray, it would also look great with a pastel pink or peach top. This high neck top is not only a cute and quite rare choice for the gym, but it also guarantees a super comfortable wear time because of the breathable mesh and medium support bra. With a top like this, you can basically wear anything from black leggings to something absolutely crazy. We probably couldn’t find a more vibrant, stunning yellow shade than this workout set, and with the black back detailing and zipper, it’s also an edgy and sporty look, perfect for the gym or to an outdoors yoga class. 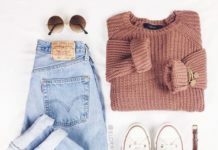 With this outfit, all eyes will be on you! Stella McCartney definitely knows how to create risky, minimalistic gym wear that instantly motives us to step outside and go for a run! We also love that this light beige shade is matched with colorful sneakers and an edgy bomber jacket. What could we say about this look besides that it’s so beautiful that we could absolutely rock it on a night out with a leather skirt and a denim jacket? Unlike most bras, this has a triangle bra design with adjustable wrap detailing below the bust. Lime is really amazing with neutral shades, such as beige, gray, taupe and white, especially if you match all these together into one outfit! This top combines everything we love about active wear: strappy back detailing, breathable mesh layers and a pop of vibrant color to make things a bit more fun. Match it with pastel pink, mauve or black leggings and sneakers to make a statement. Instead of bright or vivid floral prints, this set has a more subtle, gray and taupe floral print all over with a tied back, low cut gray top. If you are not a fan of the strappy designs, we love this racerback sports bra that will give maximum support during any workout. The black, simple Capri leggings, sports bra and hoodie trio is the perfect base for these stunning metallic geometric shapes! While most workout clothes usually feature a bright print or color, this has a more sophisticated vibe with the mix of gold and silver, and as a three piece, it is also very comfortable and practical. 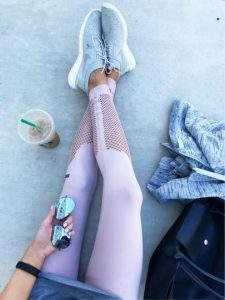 These long Capri leggings have a beautiful, intricate seamless detailing on the side with just the right amount of mesh and see-through elements. Because it’s black, it still can be easily mixed with any workout gear you own from oversized T-shirts to more sleek sports bras.